Extremely durable, lightweight and convenient shaker for mixing supplements with an innovative system of dissolution and mixing of even the most recalcitrant of nutrients! Classic grid inside the shaker has been replaced with a plastic mixing element! Smart Shake Black Label - too shaker in which you include all the necessary nutrients and supplements you. TECHNOLOGY ANTI-LEAK MAKES IN THE SHAKER BE READY HOT (DO 120 ° C) HOW AND COLD DRINKS WITHOUT ANY CONCERNS ABOUT THE DAMAGE. WITH A REVOLUTIONARY CONCAVE FILTER ELIMINATES LUMPS WITH DRINK TO GUIDE HIM TO SMOOTH CONSISTENT. IS MADE OF PLASTIC NON-TOXIC AND CAN BE STORED IN THE FREEZER, DISHWASHER SAFE, USED IN MICROWAVE, WITHOUT FEAR OF DAMAGE. 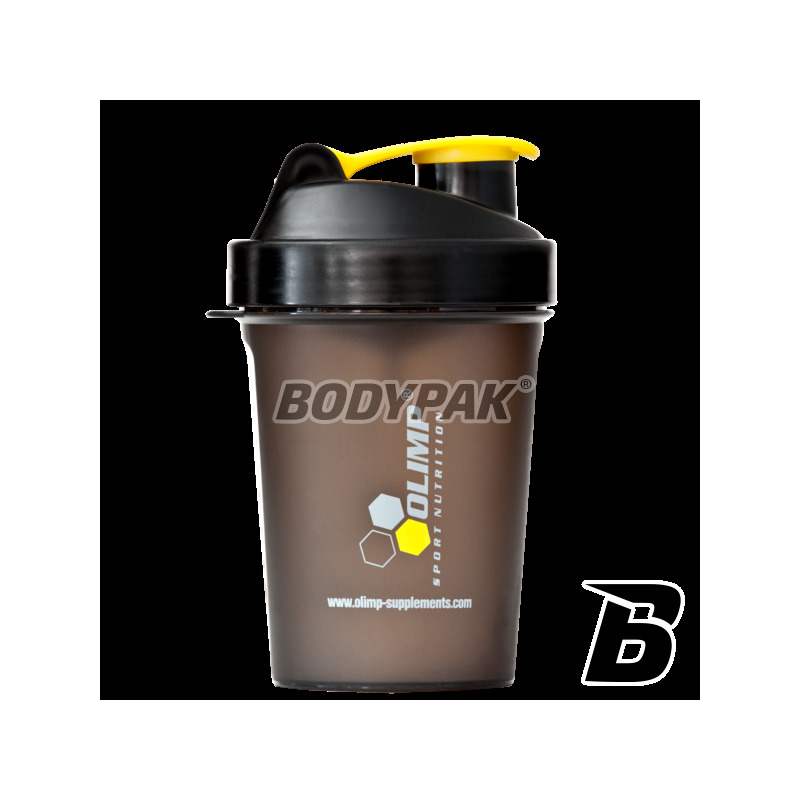 Olimp Black Label Lite practical shaker, which thanks to its compact size, ideal for everywhere else where the place! 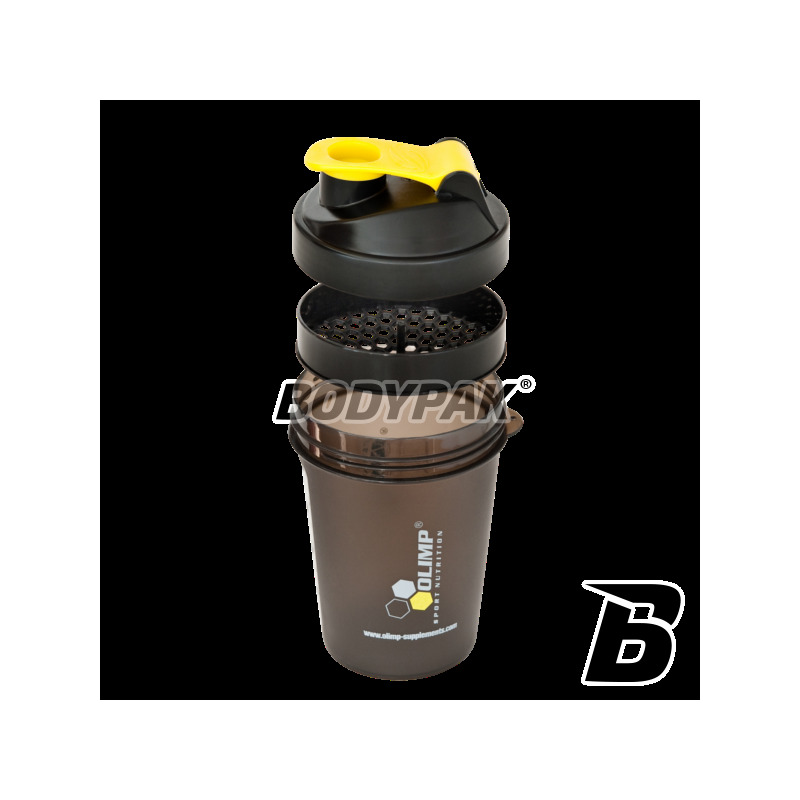 Capacity shaker Olimp Black Label Lite allows you to prepare any nutrients, and thanks to the excellent ergonomics, it provides ease of use in any place and at any time. From now on, you always have on hand the necessary portion of the nutrients thanks to Olympus Black Label Lite! Dobry shaker, wart swojej ceny ze względu na solidność wykonania, dobre spasowanie i grubość tworzywa z którego został wykonany. Szukałem małego shakera i w niższej cenie ale nie mogłem znaleźć i wziąłem ten i nie żałuję. Nie zgadzam się z opinią poprzedniczki - nic nie cieknie! Solidne wykonanie, mały, poręczny shaker, idealny do rozrobienia mniejszych ilości białka, gainerów, itd.!! Niestety nie polecam. Mimo porządnego zakręcenia shaker cieknie podczas mieszania. Sport Definition Shaker Nano [That's for Her] 500ml - 1 szt. An exceptional shaker belonging to a line of products designed for demanding sportsmen! Extremely comfortable, feminine and practical in every way. Made of high-quality plastics based on twisted construction, not only ensures durability but maximum tightness. Put on proven solutions and enjoy your comfort!